Tomorrow the Gwinnett Center in Atlanta will be transformed into a battleground, as the southeast regional Pokémon video game championship pits Pokémon against Pokémon, brother against brother. It'll be like the Civil War, only cuter, and without the city burning down. Why attend the southeast regional Pokémon championship? Why, to be the very best, of course. This is the second-to-last event before the U.S. National Championships, so it's one of your last chance to prove your prowess in front of an audience of your peers. The first come, first served event is split up into two different divisions. The Junior Division competition kicks off at 8 AM for trainers born in 1998 or later. Then the big boys and girls come out to play at 1 PM. The top 16 players of each age group from the Atlanta tournament will win an invitation to play at the Pokémon Video Game National Championships in Indianapolis on June 26 and 27. From there, it's the World Championships, and everlasting glory. If you don't want to compete, you can always show up to download the free Shiny Evee Pokémon to your copy of HeartGold or SoulSilver. Or you could just stop by in hopes of seeing me there, pretending to cover the event while downloading my free Shiny Evee to my copy of SoulSilver. 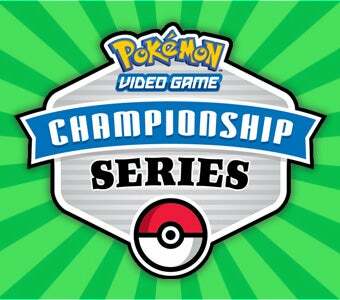 For rules and regulations, check out the official Pokemon Video Game Championship Series website.